Winter feelings are on their way out as the sun comes out to party. 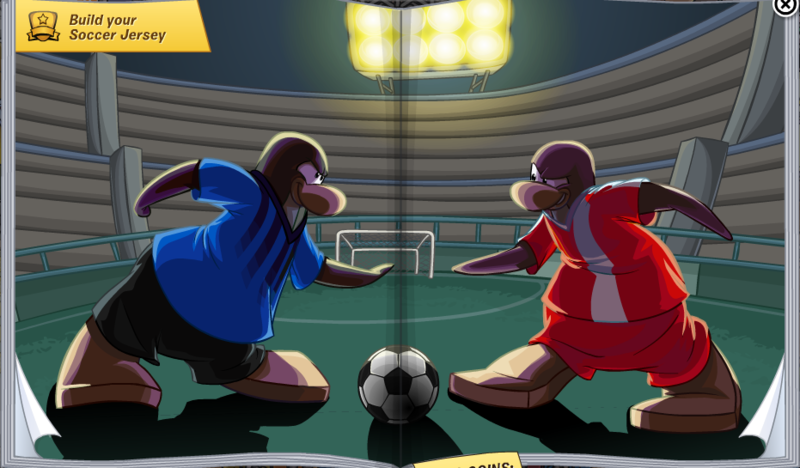 We're going to the Penguin Cup this month and watch some soccer live! What are you still doing with that winter coat on? Let's get right into it! 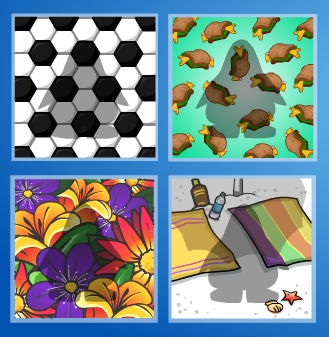 We have some new items in the catalog this month. First up, we have the latest backgrounds. 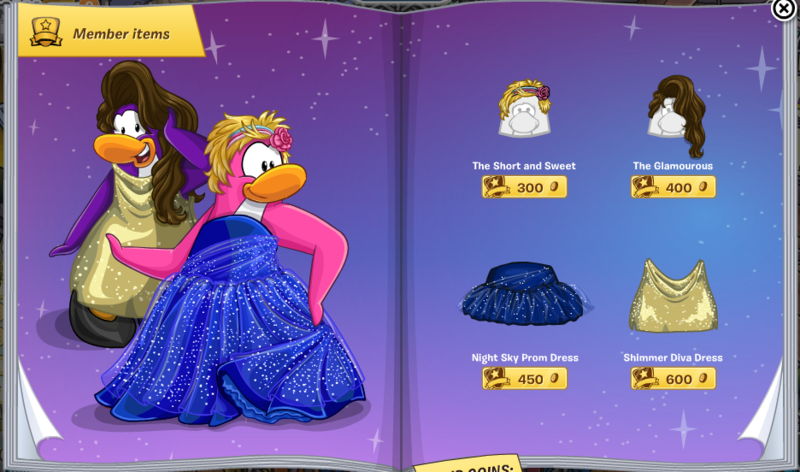 For the girl penguins we have some excellent dresses and wigs for what seems to be a fancy party. 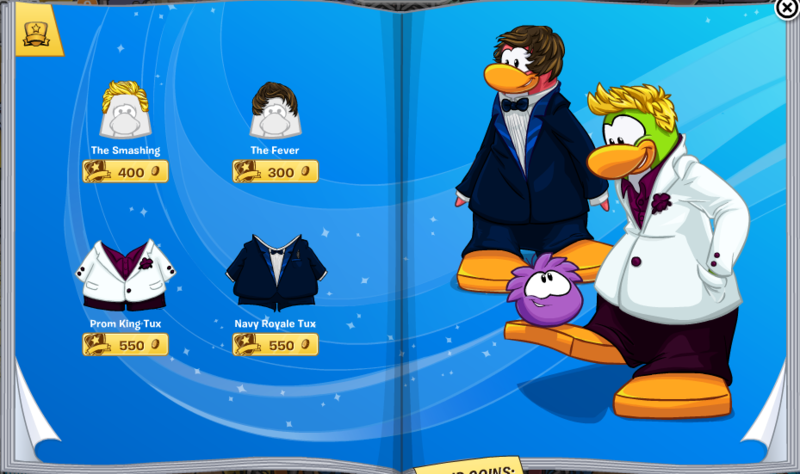 On this page we have clothes for both the girl and the boy penguins. 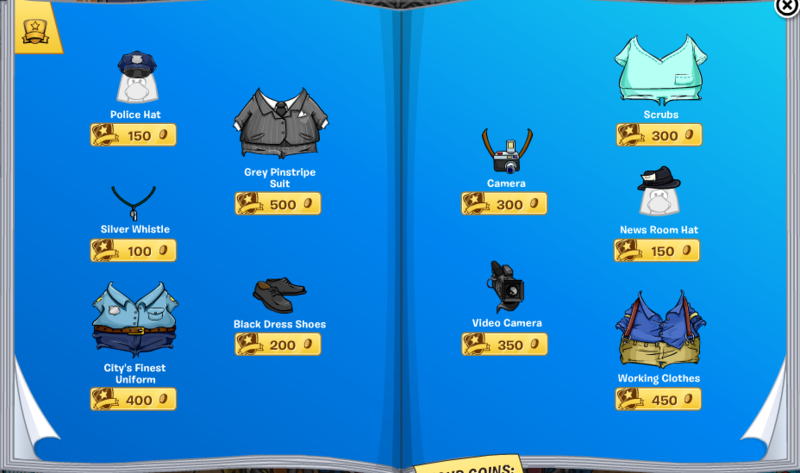 I think these items have been in the catalog before. I recognize them. 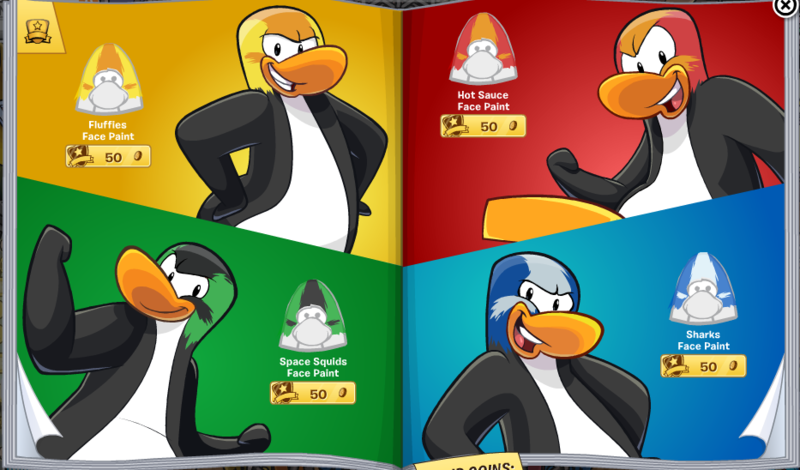 This page is purely for the boy penguins. Want to look fancy? Definitely check out this page for some style. 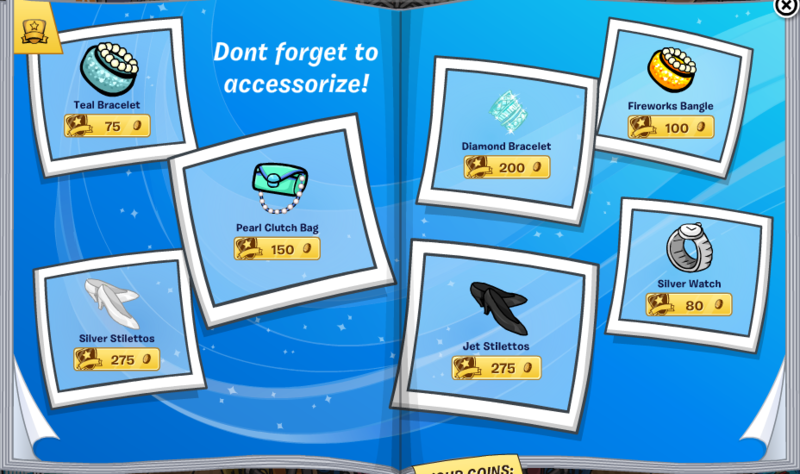 Club Penguin made a page full of accessories to choose from. These accessories are mostly for girls. The only thing that can probably be for a boy penguin is the Silver Watch. Now we're on to a fun page. We are able to create and design our own Soccer Jerseys! You can play around with the colors and designs. Don't forget to get crazy with a little face paint. 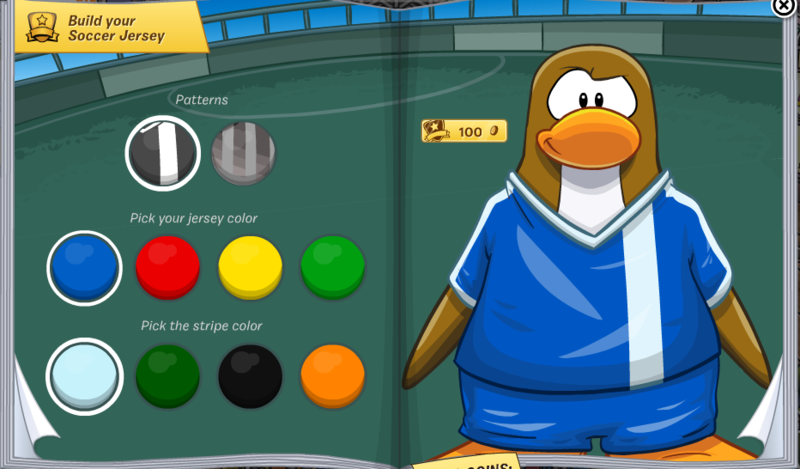 You can choose a color to match the soccer jersey you created! We also need reporters and news workers to be reporting and talking about the Penguin Cup. Are you up for the job? 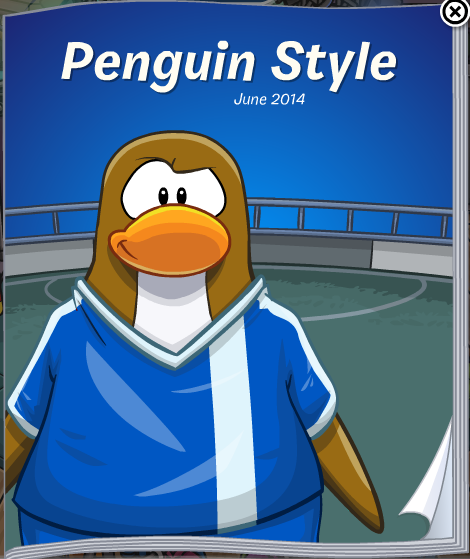 Last but certainly not least, we have the coach uniform for those penguins who want to be a leader and coach their own soccer team.